If you're on a Keto or low-carb diet, you probably aren't eating potatoes because they're filled with starches that will keep you from your weight loss goals. Lots of shepherd's pie recipes use sweet potatoes instead because they have less starch and a lower glycemic index than white potatoes. There's nothing wrong with these recipes, but these versions can be a little too sweet for a dish with savory flavors such as shepherd's pie. The recipe below uses cauliflower instead. If you closed your eyes, there's no way you would know this is a low-carb version of the comfort classic. The airy and fluffy nature of the riced cauliflower perfectly mimics mashed potatoes. Ground turkey is used in this version to keep things healthy, but feel free to swap in your favorite pork sausage, ground beef or even cooked lentils to make things vegetarian. 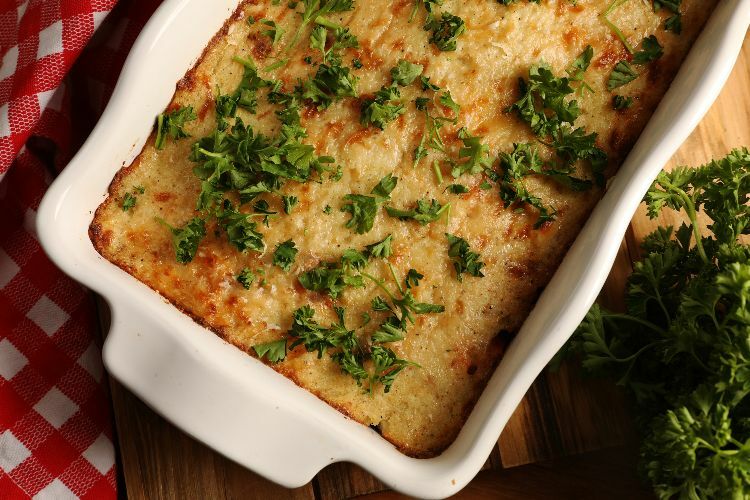 Preheat the oven to 375 degrees F. Grease a 13-by-9-inch casserole dish with butter or nonstick spray and set aside. 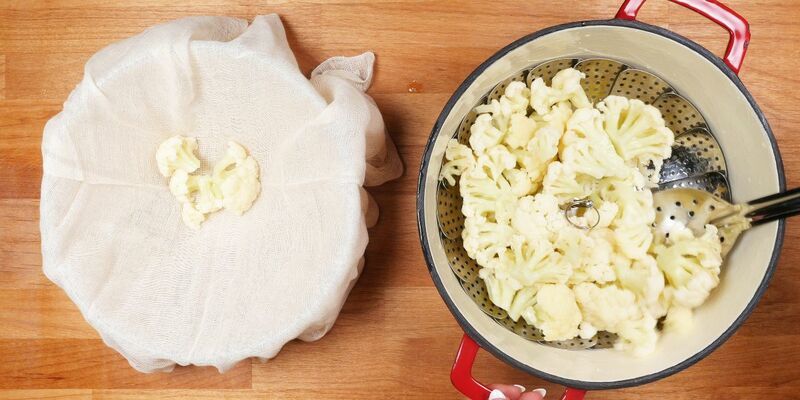 Steam the cauliflower until tender, about 15 minutes. Using a tea towel, wring out all the excess water from the cauliflower and place it in the food processor. Add the butter and heavy cream and puree until smooth. Drizzle in water, as needed, until the mixture is smooth. Season the mixture with salt and pepper, to taste, and stir in the shredded cheese. Set aside. Meanwhile, cook the ground turkey in a large skillet until it is almost cooked through. Add the diced shallot, garlic, carrot, celery and tomato paste. Cook, stirring frequently, until the vegetables are tender, about 10 minutes. Add a splash of water if the tomato paste sticks to the bottom of the pan. Transfer the mixture to the prepared casserole dish, smoothing it out so it is an even layer. Top the turkey mixture with the mashed cauliflower, using a rubber spatula to smooth out the tops. Top the mashed cauliflower with the Parmesan cheese and bake for 20 minutes, until the mixture is bubbly and the cheese is melted. Allow the casserole to sit for 20 minutes before slicing into it.